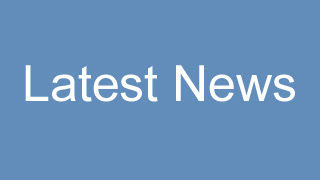 Click for "BREAKING NEWS: Arts & Culture". Beethoven Sonata Op.31, No.2, "Tempest", 1st Mov. Born into a non-musical family, Ms. Ngan Ha’s is the 7/9th grade of National Academy of Music’s pre-college program, class of Professor Tran Thu Ha. By the age of 15, she has won numerous awards including the 2nd prize at 1st Chopin International Competition in Bangkok, 1st Prize at 18th Argento Concorso piano Competition, Italy (Cat.B), Absolutely 1st prize at 18 Valtidone International Music Competition for Young Talents, Italy (Cat.B), 3rd Prize Hanoi International Piano Competition (Cat.A), some First and Second prizes at 2nd Lansum music festival in USA, Third Prize (Junior Category, 14-16 years old) - 7th Maria Herrero International Piano Competition, Granada, Spain, 1st prizes at Great Composer Competitions 2018 and many other prizes nationally and internationally recognized as well. She has also performed concerts and recitals at Hanoi Opera House, the Great music concert hall of Vietnam Academy of Music, and other famous halls in Vietnam as well as Italy, America for excellent music results. She was chosen to perform as one of the solo performers with the Red Steinway and Son Model D-274 in the Steinway Red tour at Vietnam Academy of Music Hall in July 2015. Especially, she has performed Mozart concerto No.13 (Kv415) with Academy Orchestra April 2016 and Chopin concerto No.2 in F minor, 1st Mov. with Vietnam National Symphony Orchestra and conductor Honna Tetsuji October 2017. She’s got 1st Prize Concerto competition (Fall season) 2017, Category B – American Fine Art Competition (AFAF) for the concerto performance. She’s been chosen to play at Carnegie Hall this July 2018 from Hotchkiss School (America) Summer Portal. Besides music, she has also incredible academic results. She is working hard every day with her busy schedule of academic program at school (she is following IB program (Grade 11)) and practicing without any musical background or help from her family. She was chosen as The Youngest person to receive one of ten “Hanoi capital city honor most outstanding young citizens of 2013” awards for excellent result in both academic school and music school. She also continuously received “Toyota Scholarship for Vietnamese Young Music Talents” in 2014, 2015, Yamaha Scholarship 2016 and 2018. Thanks to great guidance from her professor, support from her teachers and school, she is growing up with busy life but enjoy music with so much passion. I was not born into a music family. My mother works for a Japanese organization while my dad is a freelancer who is a billionaire of time. He takes me around city to join a lot of extra classes whenever I need. I had my first piano class when I was five. I came to my first music center once a week for class with about 5 other kids and practiced at home with an archaic and out-of-tune organ for 2 years. My piano teacher, who had been overseeing my progress, told my parents that she could see that I had good ears for music learning and I studied pieces faster than my classmates. She suggested them take me to another teacher in a big music center. My parents did not really want me to take piano too seriously, but they thought, “Why not?”. I met my second teacher when I was around seven, and she was my first and foremost source of inspiration. She helped me realize at a very young age that music was beautiful and passed the love for the piano to me. I counted excitedly day by day till Saturday to come to her class. After several time urging my parents, my teacher finally succeeded in asking my parents to buy me an upright piano. On the big day, I remember waking up super early and running around with excitement while waiting for the truck carrying my first beautiful black Yamaha to the door. I had my first public performance when I was eight. I remembered playing ‘Wiener March’ in front of giant flashing lights and hundreds of people and I felt so great and at that moment, I knew exactly what I wanted to do-playing music for people. My mother initially wanted me to take piano classes just for fun because she thought it would help enrich my soul and sense of art. At the age of nine, I was taken to several minor competitions by my teacher and performed several times. After those experiences, I started hearing my friends from class and their parents talk about applying for the Vietnam National Academy of Music. I did some research on this academy with curiosity and found out that all of the best Vietnamese musicians were trained there. I also read about Professor Tran Thu Ha, and at that time, I suddenly my biggest goal was to manage to play for her. I asked my mother’s permission to apply for the academy, and that event was followed by a series of me crying and begging my mom to let me audition, my mom’s answer was a solid ‘no’, because she was too concerned about the amount of practice and strict commitment when I took it as my career. I was confused and ignorant, since all I wanted was to make piano ‘official’ in my life. When I was ten, I again, begged my parents to let me apply for the academy. When they said “NO” again, I would cry myself to sleep and be very sad for days. Luckily, my mother changed her mind as she felt really bad when hindering me to pursue my dream therefore she tried to book an appointment with Professor Tran Thu Ha exactly one week before the audition. I was extremely nervous because I was very scared being refused by Professor as I was one year older than the normal age to enter the academy. I played for her, and to both me and my parents surprise, she accepted me right away and even helped me prepare for the audition. I practiced my entire repertoire in just a week and got the highest audition score and I became Professor Tran Thu Ha’s first year student. Since then, I have joined many competitions around the world and won several prizes. I have become frantically busy with piano and school. One day when I was at my first semester, I started to felt that playing the piano for 4 hours a day is not a typical thing for a kid to do. My friends felt sorry for me because all I did in my free time was practicing. Once, when I arrived at school late after a morning piano class, my English teacher decided to give my mom a long lecture on how she lets me be an ‘overworked’ and ‘miserable’ kid. I was left confused because deeply inside, I thought I was the luckiest girl in the world to be able to play piano as my dream. Since then and through my dark age of puberty, social life really got in the way of my relationship with the piano. I used to pretend that I was so upset to be “stuck in the practice room” for hours and hours while my friends hung out at shopping malls. I did all I could to deny the fact that I would rather be with my piano. My younger self was not aware that my mindset was slowly and inevitably being morphed with the full thought that I should not be a pianist at all. During such dreadful period of time at middle school, I never mentioned about my concerts, competitions and success to my friends because I felt so embarrassed and alienated. I came home feeling stupid for my selfishness. For the first time, I thought about all the times when I came home crying because I felt left out or when public commentaries from my concerts were hard to bear, and how I would always play the piano for joy. For JOY. And when I didn’t practice for a week because I was too caught up in school or because my ‘friends’ make fun of me for being a ‘musical nerd’, how the piano was just there. I opened the piano, played Chopin’s Ballade No.1, and the rest is history. Day by day, I have been mature gradually. Looking back to my 1st piano lesson until now, I have been practicing piano for ten years, and I simply fall in love with music with my whole heart and soul. Now, I’m a seventh year student at the Vietnam National Academy of Music and I am still going on my journey to make my dream of being a professional pianist come true. My favorite composers right now are Chopin and Ravel. I like Chopin’s music because of his beautiful choices of harmony and how he transforms human experiences and emotions into music that can be mutually felt by everyone else. I love Ravel because of the atmospheric aspects of his music that almost makes me feel like I am witnessing a fairytale. My mother said that when I was in her tummy, she let me listen to Mozart music every day. When she turned on the Mozart variations “Twinkle, twinkle little star”, I was kicking repeatedly. That’s why Mozart is also my favorite composer because of the pureness in his music for the souls. As a result of music love, all family members agreed to choose the name – Ngan Ha means galaxy in the sky for me. And I have been learning Mozart Variations “Twinkle, twinkle little star” when I was a small girl with full of joys. I don’t exactly have musical idols but the people that I am most inspired by or motivated by recently when I play the piano are Jacqueline du Pre (even though she is not a pianist), Yuja Wang, and my teacher. In my opinion, the term ‘perfect’ for a musician is subjective. I personally think that noone is a perfect performer, though anyone can have a perfect performance, which is technically flawless and one that meets all of the performer’s intentions and ideas formed during practice. I personally like the performers who play good sound which sophisticatedly touch the souls and bring joy of music to audiences. Right now, I have Elgar’s Concerto in E minor on repeat and all of Ravel’s pieces for piano, my absolute favorite being Une Barque sur L’Ocean. My favorite pieces that I am playing are Jardin sous la Pluie by Debussy and Chopin’s Andante Spianato et Grande Polonaise Brillante. My previous performing experience with joy is playing Chopin Concerto No.2, 1st movement with Vietnam National symphony Orchestra under Japanese conductor Honna Tetsuji last year. To be honest, my thought vary up to the level of my preparation for the concerts, therefore I either focus entirely on music that I am playing or on what people think when they hear my playing. I currently study at the Vietnam National Academy of Music. I will have to apply for colleges/universities in nearly two years. At this moment, I have not yet had specific plan for future studies but I would like to study piano, piano pedagogy, and journalism in the US or in Europe. I dream to learn at a good music school or conservatory, but in fact, I have to pass the audition and I should see how much my parents can pay for my study abroad. 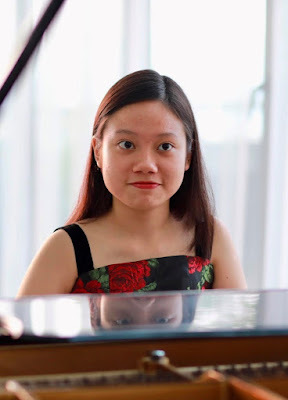 I have had a lifelong ambition of becoming a pianist and a piano teacher so that I am able to bring music to the children and people in my country, Vietnam, a developing country where people do not have many chances to enjoy classical music. I participate in music competitions to have a chance to perform the pieces that I have practiced for a long time and to create new connections with friends of the same age, professors and audience members from that I don’t get to meet every day. In my opinion, GLORY International Music Competition is a great competing opportunity for musicians who don’t necessarily have the chance and circumstances to travel to compete. I love to read, hang out with my friends, watching movies, drawing, and taking photos when I find spare time. I am reading The Secret History by Donna Tartt. As simple as it sounds, I love being with the friends that I love most and sharing a laugh with them no matter where we are. And, when I play piano, even for one person, group of people or large audience and I feel that the audience love and enjoy my performance, the happiness will overflow like the spring over my mind. I do not like to travel alone, especially to competitions and concerts. At my age, friends and school are very important part of my life. I am inspired by my friends and sometimes strongly influenced by characters in books and movies. Things that upset me are being misunderstood by other people or make persons I care disappointed. I think, the most important in life is to be hornets to myself and working hard with passion for a better future for all. Hard work is much more important. You could succeed by working hard even without talent but you could not get success with talent only. I would gather with my best friends and if circumstances permit we would go stargazing and I want to wholeheartedly play all my loved pieces of music for them. The universe exists despite for us to see and feel it. Eri Wong is currently studying piano under Nobuyo Nishizaka. She has recently graduated from the Azusa Pacific University with a Bachelor of Music, piano performance, where she studied under Dr. Joel Clifft. During the past several years, she participated and won in various competitions, including: SYMF, CAPMT, MTAC, LA international Liszt Competition, LA Young Musician International competition, etc. Recently she won the CAPMT Honors Auditions (2nd Place 2013, 3rd Place 2014, 2017 and 2018), the CAPMT Romantic festival (2nd place 2016, 2017, and 2018), the MTAC State Solo Competition (Honorable mention 2015 and 2016, winner 2018), and the MTAC State Final Solo Competition (1st place 2018). She also won the American Protégé International Competition of Romantic Music (2nd place 2012, 1st place 2014, 2nd place 2015). Eri has participated in many charity concerts and has performed in Carnegie Hall in New York three times. She was also a part of the YMF chamber music series and participated in the live radio broadcast at LACMA. Aside from her private lessons, Eri take lessons every year and a few master classes from Mr. Paul Roberts in Portland, Oregon. She has also been involved in the Azusa Conservatory of Music since 2015, where she enjoys teaching private piano. Besides solo performances, Eri was the school symphony pianist and also an accompanist for various musicians including instrumentalist, vocalists, and musical theatre students. Yes, my mother is a piano teacher. She introduced me into playing the piano. I started playing the piano when I was five years old, but before then, my mother played short tunes from the Disney songbook or from the well-known classical hits book on the piano for me. I was immediately intrigued and genuinely awed by the beautiful sound of the instrument. It was my mother’s decision at first, but as I continued to take lessons, I have never failed to appreciate and continue to love playing piano. Performing and playing the piano has been my passion since I was young. Debussy is one of my favorites. His use of exquisite colors, delicate tones and limitless imaginations brings me into a dream- like world, filled with euphoria. My current favorite pianists that I enjoy listening to are Krystian Zimerman and Seong Jin Cho. When I performed Debussy's L'isle Joyeuse in New York, Carnegie Hall. This is a difficult question, but I have a fairly simple answer. I believe that a perfect “performer” is someone who is genuinely enjoying and feeling the music. This is probably the best way to share, convey and connect with the audience. At the moment, I enjoy playing the 3rd Ballade by Chopin and Messiaen’s Preludes for piano, Un reflet dans le vent. My piano teachers, especially my current private teacher, Nobuyo Nishizaka. I definitely think about the piece and music that I am performing. I enjoy creating my own stories and images for the pieces. I have just graduated from the Azusa Pacific University with a Bachelor degree in Music, Piano Performance. Currently I am preparing for my Graduate school auditions. Participating in competitions gives me the opportunity to improve my pieces and performances in general. Competitions are like a goal in a way since it motivates me to practice harder so that I can give a thorough performance. Winning a prize is great, but the best take away is the process and the fact that I am learning something new and improving. I think it is a great competition! There are so many different categories and many performers from all around the world. I thought the audience award was very interesting too. It was a great experience overall. I love to eat out with my family and friends, watch YouTube videos, go thrift shopping, and sometimes read. Recently I have been into reading Japanese books. My favorite genre is mystery for sure. When I am spending time with my family and friends, playing the piano and eating ice cream. Sports. I am terrible at sports. My parents and my piano teacher always inspire me. I get very upset when I give poor performances. I believe that I am a hard worker. Simple, but it certainly spoke to me. Hard work for sure. Without hard work, I believe that the talent won’t even show or it will go to waste. There are many great musicians that are extremely talented, but they still work and practice hard like everyone else. I would probably to the ordinary. Wake up, eat a big breakfast, practice piano and spend time with my family. David Stedge is currently pursuing his Master of Music degree in Flute Performance at West Virginia University, studying under Professor Nina Assimakopoulos. At WVU, he is the Graduate Assistant to the Flute Studio where he teaches lessons to undergraduate students and performs other duties in the School of Music such as working in the Community Music Program Office through WVU and performing in the Graduate Woodwind Quintet. He is also a member of the WVU Symphony Orchestra, performing on both Flute and Piccolo. David recently made his solo debut at Weill Recital Hall at Carnegie Hall as a First Prize Winner of the Golden Classical Music Awards International Competition. Other competition successes include First Prize in The Art of Woodwinds & Brass and Masters of Winds Sonata of the Great Composers Competition, Second Place in WVMTNA, Second Prize in the ENKOR International Woodwinds, Brass, & Percussion Competition, and David was a finalist in the WVU Young Artist Competition. He has also done extensive work at Blue Lake Fine Arts Camp in Michigan and is in his fourth summer of working here. Starting in 2014, David was a Cabin Counselor, a Unit Counselor in 2016, a member of the Touring Staff for the 2017 International Youth Symphony Orchestra, and this summer, he is one of the International Assistants, helping run the program and recruit students for future tours with Blue Lake. Prior to his studies at WVU, David received his Bachelor of Music degree in Music Education with a flute emphasis and a Bachelor of Arts degree in Applied Music with a voice emphasis from the State University of NY at Fredonia. 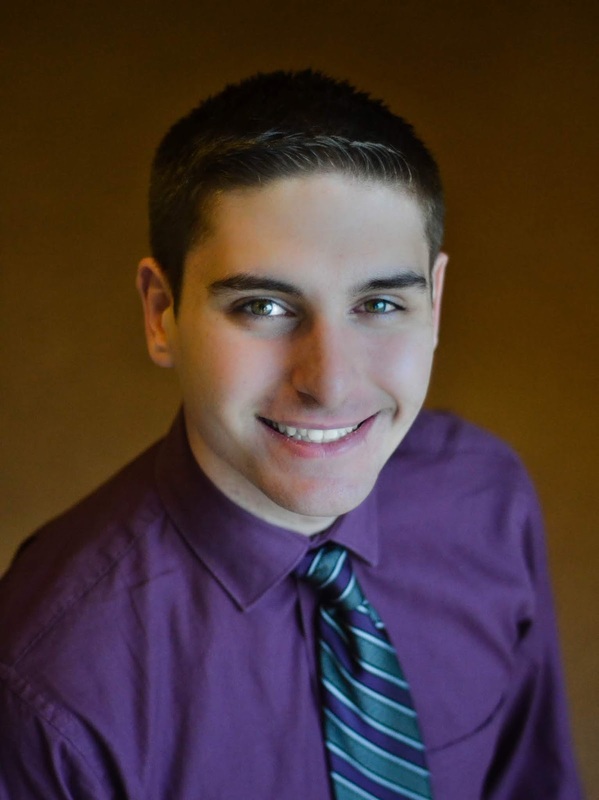 While at Fredonia, David studied Flute with Dr. Susan Royal and Voice with Professor Julie Newell. His previous teachers also include Dr. Carol Shansky for Flute and Ms. Claudette Peterson for Voice. A little bit. My sister is also a musician, but other than that, nobody else in our family is very musical. They enjoy it and always support us, which is more than we could ever ask for!! Playing classroom instruments in elementary school. I really loved how similar it sounded to singing as well as the high sounds it naturally made. Plus, a lot of my friends wanted to ply it as well, and we decided to all learn it together. I LOVE French composers because their music tells the listener a story that I feel I can capture, relate to, and execute in my performance of it. All of my teachers in my life. They have been so inspiring and encouraging to me throughout the years and are why I am where I am oday!! I don’t believe there is such a thing as a “perfect” performer, but I think the best performers are the ones who are clearly invested in the music and pour their heart and soul into their craft and showcase how much they love performing in front of people!! point in my life to another. I am really enjoying orchestral repertoire a lot right now, as I am planning to take as many orchestral auditions as possible as I finish my Masters degree this year. How a piece of repertoire sounds from the first listen. Just to enjoy the moment and remember to share my voice through my instrument. I received my BM in Music Education for Flute and my BA in Applied Music for Voice from the State University of NY at Fredonia, and I am currently pursuing my MM in Flute Performance at West Virginia University. After I graduate this year, I plan to look for teaching jobs in public schools and take orchestral auditions. To grow as a musician and person along with getting my name and playing out in the open, so I can learn and grow from as many people as possible. It is a great start to getting a musician’s name out in the open. I love to cook and workout!! Those are extremely important to me when I’m not practicing. I am reading The Alexander Technique for Musicians. Any moment where I am able to just be and live life to the fullest!